Recording session starts for new the new album. Only rumours yet. Dave's second solo album "Hourglass". Best of Depeche Mode.... can we hope for some new songs here? Remastered versions of "A Broken Frame", "Some Great Reward" and "Songs of Faith & Devotion". Touring the Angel Live DVD. Depeche Mode at Stockholm stadion. New Single "John The Revelator". Remastered versions of, "Speak & Spell", "Music For The Masses" and "Violator". Finally it's time for Sweden, the first Swedish show is in Gothenburg, sunday 26th. I will be there! "Touring the Angel" reaches Europe! YEEEES! New Single "A Pain That I'm Used To". The US part of the "Touring the Angel" tour is starting. Album release, "Playing the Angel" on the 17th in Europe and the 18th in US. A show called "Starting the Angel" for a small group of people will take place i New York on the 28th. Finally the Swedish tour dates, Gothenburg 26th February and Stockholm 1st March. Tickets will be released Monday 5th September 09:00. The new album "Playing The Angel" is scheduled for release October 17th, and the first single "Precious" will be out 2 weeks earlier. 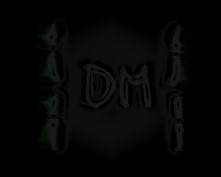 DM has announced a new world tour, the tour will start in North America in October and will hit Europe early 2006. Depeche Mode will enter the studio in January 2005 to start the work of their new album! My guess is that we will have a new DM album in early 2006. And after that we can only hope that they will tour again! DM will release a remix album, it will feature remixes from 81 -04. Finally we will get Devotional on DVD. I will be a 2-DVD with the full concert and a lot of extras. Sometime around this time there will be 3 new single boxes released I wouldn't be surprised if this will be delayed though. Release date for the re-release of 101 on DVD. Release date for the new DVD "The Singles 86-98+". Release date for the new DVD/VHS "One Night In Paris". Release date for the new single "Goodnight Lovers". Release date for the new single "Freelove". Release date for the new single "I Feel Loved"
Release date for the new album "Exciter". Release date for the new single "Dream On"
The new album is finished!! Two Mp3 soundclip from the new album will be launched on the official site 31th January. Also, Register to win an autographed DM keyboard. Rumours starting to say that DM probably will play in Europe next year also. Well this is RUMOURS. Don't believe it, just hope it's true. The new album "The Singles 86-98" is released today (Europe). Depeche Mode played in Gothenburg, Sweden today. I was there of course. It was a GREAT concert. It was sold out and it was a great experience to see DM again after 5 years. Wooow! The new single "Only When I Lose Myself" is released today (Europe). The new single "Only When I Loose Myself" will be released (in Europe) 7th September. The new album "The Singles 86-98" is due to be released late September. North American tour dates is available, take a look at http://www.mutelibtech.com. The new single due to be released in august or September will be called "Only When I Loose Myself", two more new songs will be on the new single, Tempt and Headstar. I have already added the lyrics in the songs section. DM will tour Europe in September and October, tour starts in Tartu, Estonia, 2nd September. Take a look at http://www.mutelibtech.com for a complete list of dates. Swedish dates are 12th September at Scandinavium and 13 September at Stockholm Globe Arena. A single will be released prior to the tour. "Martin Gore is busy writing new material and the band could be in the studio as early as the new year working on a handful of new songs for inclusion in a Double CD package! The album will feature all of Depeche Mode's hits since 1986. This forthcoming package is still untitled and could be released as early as this summer. Accordingly, the band is considering a World Tour in support of this upcoming release. Stay tuned for more details..."